Over at my friend Sheila Kennedy's blog this morning she makes a point about American journalism, suggesting the "he said, she said" approach undermines the "truth-telling" function of the media. I don't disagree with her assessment. But then she proceeds to step in a big pile of manure by citing as her example that "99% of climate scientists agree that the earth is warming," such an overwhelming consensus that the media need not hear from the "crank" on the other side who believes otherwise. Sheila has inadvertently just exposed another problem with the media - reporters simply repeating numbers fed to them without examining the source of those numbers to see if they have credibility. First, she makes a couple mistakes from the beginning. She uses the figure 99%. The figure that is claimed is actually 97%. And the issue is not just that the Earth has warmed. It is indisputable that the Earth has warmed since the Little Ice Age ended around 1850 and thank God for that. 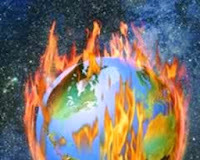 Rather the issue is whether man has caused significant, indeed dangerous, global warming. The alarmists insist that 97% of climate scientists agree that man has caused dangerous global warming. But surprisingly few people who cite that number actually know where that 97% figure comes from. It came from the results of an on-line survey published in 2009 by Peter Doran and Maggie Kendall Zimmerman of the University of Illinois. The survey was sent to 10,257 scientists with 3,146 responding. The 97% figure is based on the responses of 79 of those scientists. More on that later. The first survey question was: "When compared to pre-1800 levels, do you think mean global temperatures have generally risen, fallen, or remained relatively constant." That is an, I would say, intentionally, loaded question. Of course temperatures have risen since the 1700s, the depths of the Little Ice Age. 100% of the scientists should have said "yes," but only 90% did. The second survey question was: "Do you think human activity is a significant contributing factor in changing mean global temperatures?" The question fails in a couple respects. First, it doesn't identify what "human activity" is being talked about. Urban sprawl contributes to higher temperatures, just like a paved lot is going to produce warmer surface temperatures than the grass field it replaced. The question does not mention anything about the burning of fossil fuels. Second, the question does not identify what is meant by "significant." One scientist might think a 5% impact by mankind is significant, while another might think 25% is significant. Of the 3,146 responses, 82% said "yes" to this question. This combined with the 90%, produces an 86% figure. How do they get to 97% then? The 97% figure from the survey comes from a whittling down of the accepted number of responses from 3,146 to 79. The 79 scientists are those who said they have recently published 50% of their papers in the area of climate change. Of these, 76 of 79 answered “risen” to questions one (96.2%). As to question two 75 of 77 answered “yes” (97.4%). Notably meteorologists, who study weather patterns for a living are simply excluded from the 79 scientists used to arrive at the 97% figure. Polls of meteorologists show they consistently are some of the biggest skeptics of dangerous anthropogenic global warming. A lot of meteorologists are apparently "cranks." Over 31,847 American scientists have signed the Global Warming Petition Project which says that "[t]here is no convincing scientific evidence that human release of carbon dioxide, methane, or other greenhouse gases is causing or will, in the foreseeable future, cause catastrophic heating of the Earth's atmosphere, and disruption of the Earth's climate. Moreover, there is substantial scientific evidence that increases in atmospheric carbon dioxide produce many beneficial effects upon the natural plant an animal environments of the Earth." The saying is that there are lies, damn lies, and statistics. The 97% of climate scientists agree continues to be a whopper that is told over and over again, regardless of how many times its phony origins has been exposed. Note: Much of the statistical information about the source of the 97% figure comes from an article written by Art Horn which can be found here. It is information though that can be easily obtained from other sources. Rather than do that research, unfortunately media outlets simply prefer to repeat the 97% figure as if it were fact. I've stopped reading Kennedy's blog as it's just a regurgitation of Democratic talking points. Then her minions chime in, in agreement. She offers no new perspective or insight. Brian Howey suffers from the same affliction. Yet both he and Kennedy believe themselves "above the fray" of politics. Your explanation of the "97%" was informative. The hubris of those who believe global warming is man-made is stunning. Al Gore famously said the science is settled, meaning he is so certain in his opinion that he's willing to be the entire world economy and culture on it. The Catholic Church also told Copernicus that the science was settled as to whether the earth orbits the sun, or vice versa. You suggest that it's unfair to consider only the opinions of the most active and knowledgeable scientists in the field, and that the opinion of our local weatherman/weatherlady (Angela Buckman?) should count just as much. You can't be serious. The fact is that at least 97% of the most knowledgeable scientists in the field believe that man-made carbon emissions are responsible for the observed climate change. Thus, the only possible conclusions that can be drawn are that either these 97% are liars, incompetent or wrong, or that the remaining 3% are liars, incompetent or wrong. Although it's clearly possible that the 97% are liars, incompetent or wrong, I'd have to say that the odds favor those 97% over the 3%. If you're telling us that you're putting your money on the 3%, I'd really love to gamble with you some time. Oops -- I meant to point out that the 2010 NAS survey confirmed that between 97% and 98% of active climate scientists agreed that climate change is anthropogenic. Enviro-scammers don't rely on science. National Academy of Science surveys are anthropogenic opinion making; based on political methods not scientific.